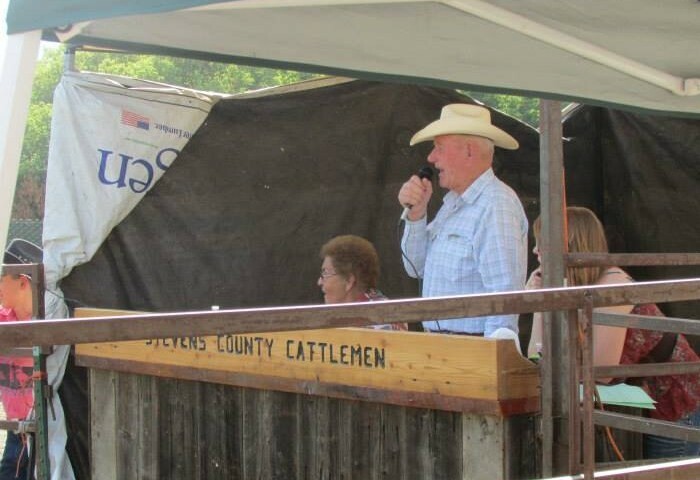 The annual Fat Stock Sale sponsored by the Stevens County Cattlemen at the Northeast Washington Fair raised over $129,000 last month that went into the pockets of young producers who learned how to raise, show and sell livestock through the event. Over 80 buyers, including many local businesses and individuals, allowed the 28 beef, 15 sheep, 65 hogs and 11 other animals including goats and chickens to sell for solid prices. Stevens County Cattlemen’s Association President Scott Nielsen said the Fat Stock Sale is an important opportunity for young people to get started in the livestock industry. Nielsen said while SCCA sponsors the event, it would not be possible without the help of some tireless volunteers. For more information, visit www.stevenscountycattlemen.wordpress.com or visit their Facebook page.